A funding bill must be passed before December 22 – or the federal government will partially shut down. 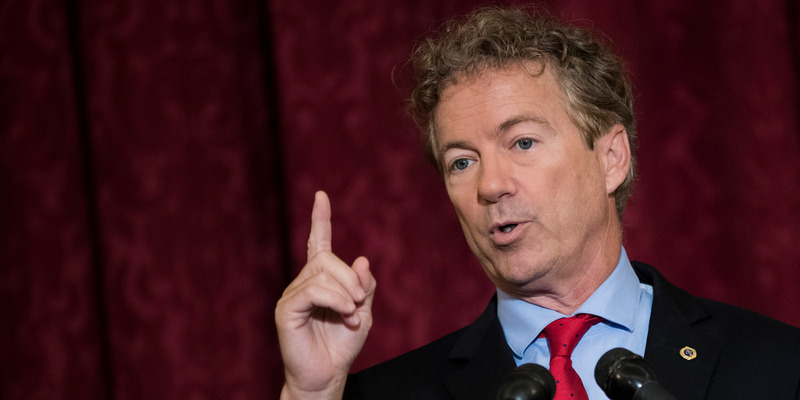 Paul said he is still a “yes” on the GOP tax bill despite official analyses showing that it would add more than $US1 trillion to the federal deficit. Leaders from the Republican and Democratic leadership are attempting to hash out a deal, focused on defence spending and other legislative priorities like the Deferred Action for Childhood Arrivals (DACA) immigration program. In a follow-up tweet, Paul suggested he would still support the Republican tax bill, the Tax Cuts and Jobs Act (TCJA). Paul voted for the initial Senate version of the bill. According to the Joint Committee on Taxation, the TCJA would add roughly $US1 trillion to the federal deficit even when factoring in increased economic growth from the bill.